23 year old Subin Limbu has been crowned as Miss Nepal 2014 in a glittering grand finale of the beauty pageant organized at the Army Officers Club in Bhadrakali, Kathmandu last May 2. Subin, selected from 18 finalists, was crowned by Miss Nepal 2013 Ishani Shrestha. Likewise, Pranayana KC was awarded Miss Personality. 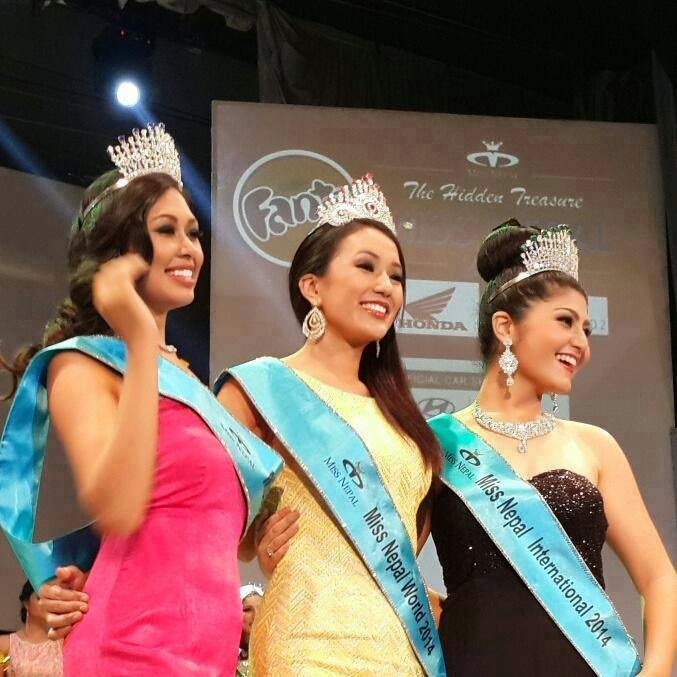 Soni Raj Bhandari was Miss Nepal International 2014 and Prinsa Shrestha as Miss Nepal Earth 2014. Soni Raj Bhandari also won the award for Miss Photogenic while Lakpa Tamang was announced Miss Talent. Rasmi Adhikari won the award for Miss Beautiful Hair. Along with the crown, Limbu was awarded a cash prize of Rs 50, 000. She will represent Nepal in the upcoming Miss World contest in November. The runners-up, Prinsha Shrestha and Sonie Rajbhandari, will compete in the Miss International (Japan, November) and Miss Earth (Philippines, December) later this year.